Copywriting books are aplenty, but the good ones are hard to find. Year 2016 saw many promising copywriting books. To dig out the real good ones, I asked my copywriting sensei to choose his best copywriting books in 2016. And thus, the following list came to exist. For reasons beyond me, my sensei prefers to remain in the shadows, with his real identity held as a secret. Back to the topic at hand. Copywriting is a skill you need to master. Even if you hire the best of marketing copywriters, you need to have a vision, strategy, and action plan. Those books below will help you to achieve this. Read on. The Samsung Gear IconX headphones are entirely wireless and Bluetooth ‘light’ earbuds. and a heart rate monitor for fitness and exercise purposes. 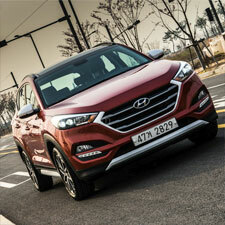 The Hyundai Tucson has new shape, again! Well, for those who joined the Hyundai bandwagon recently and who may not know the Tucson SUV, it’s also called as the ix35. Oh, the C is silent, in case you were wondering how to pronounce Tucson. When it comes to reasons to recommend this crossover, you’ll find that its positives revolve around comforts and technology. Its negatives will be detailed in detail in a coming post but mainly it’s not as powerful as drivers would like it to be. For now, let’s discuss the top reasons that would make anyone buy the Hyundai Tucson 2016.